Hi everyone! I can't believe we are basically at the end of September already, how fast is time going! However I do love October, aside from going back to university it would be one of my favourite months, when I'm out of education after this year and I don't have the dreaded return of term looming over me at this time of year I will be loving it! I don't have a lot of beauty favourites this month as make up wise I have been using mostly the same products however there are a few things I've been particularly loving which I thought I would share along with some other favourites which aren't beauty related but things that I have been obsessed with this month! - Urban Decay All Nighter Setting Spray. When I have been wearing make up this month I have really needed it to stay on as I have been doing longer shifts at work and going for days out so this has been getting used a lot to help and it really does work! I'm actually thinking about putting some of their other setting sprays on my Christmas list this year as I have only ever used All Nighter so if you have any let me know in the comments it would be much appreciated! - Alien by Thierry Mugler. This is my all time favourite perfume but for some reason I have been using it everyday this month, I think you can own a lot of perfumes but there will always be one you love more than the rest and it kind of becomes your scent, this one is definitely mine. I have other perfumes but nothing compares to this one, if you have never smelt it you need to try it because it's amazing! - Rimmel Wake Me Up concealer. I have really been liking this for my under eye area, it was just a nice refreshing change from using the same product all the time and I think it really does brighten up my dark circles. Also I haven't had any issue with this creasing so that's a huge bonus. - MAC Velvet Teddy. I know this is so talked about but I really wanted to feature it as I have been reaching for it a lot especially at this time of year. I know that berry lips are the big trend in Autumn but I just find them a bit too bold for me, I prefer a much more muted lip and to me this is a perfect Autumn colour when you don't want to have a bold lip. - Spectrum Fan Brush. This is my go to brush for highlighting which is now something I have to do everyday, I feel a bit naked if I don't highlight! To me it just makes the world of difference and this brush gives the nicest application for a powder highlighter. As I mentioned before I have a few favourites which aren't beauty related that I would love to share, if you are a TV nut like me then you might find this interesting! - Narcos. So I was scrolling Netflix with my boyfriend recently and we love watching series together but there hasn't been one that has stood out for us in so long. 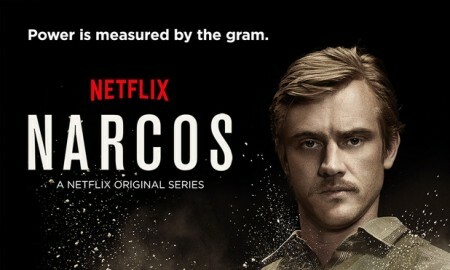 We saw Narcos though and it had really good reviews and I saw a review that said if you want to fill the Breaking Bad void in your life then this would help and it really does! I absolutely loved Breaking Bad and was worried that this wouldn't compare or would try and be too similar but it isn't at all, it is so good in it's own way. I'm about to get onto to episode 9 of 10 and I can't wait to see what happens in the end! - Scream Queens. The first two episodes of this show only just aired this week but I watched them and fell in love! 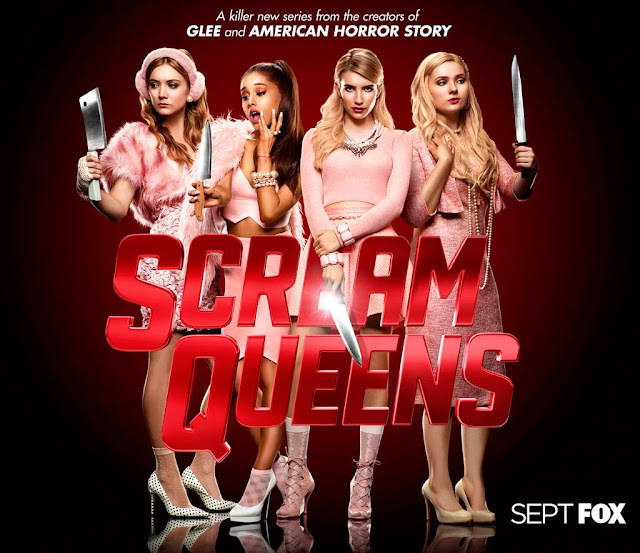 It is created by Ryan Murphy who makes American Horror Story and if you love horror comedy then this will be perfect for you! It's so funny and it has the best cast, it is based on a sorority which is being targeted by a killer in a red devil suit, I would say it is more funny than scary but I think that is the point, I can't wait for the rest of the series it is so good. I actually would never typically include music in my favourites however there is a song that I am so obsessed with at the minute and I want other people to love it too! 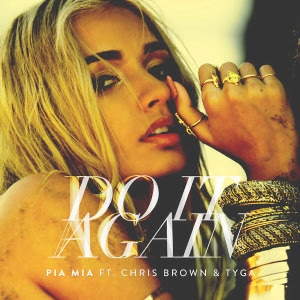 - Do it Again - Pia Mia ft Chris Brown & Tyga. I really have been loving this song, perfect for driving a long singing so loud, have a listen and I'm sure you'll love it. Let me know in the comments what you've been loving this month! I used the following items pictured below. - A canvas in any size of your choice. I bought mine from a stationary shop and it was only £3.99 so you don't have to pay a lot for them, I wanted a square shaped one for mine. - Marble style sticky roll. I bought mine on Ebay, you can get it here. If you don't want this particular pattern then there is other colours you can choose from. - Glue. I didn't end up needing this however if your marble roll is being difficult and doesn't want to stick to the sides of the canvas then glue is recommended. The first thing you need to do is roll out your marble roll over the canvas, rolling out a bigger size than the canvas itself as you need to make sure there is enough for the sides to stick down. After you have done this cut it away from the roll (kind of like when you are wrapping a present). Once this is done you can start to peel the back off your marble roll and get ready to stick it on the canvas. You need to carefully stick this onto your canvas and it is so important that you keep smoothing it out with your hands to avoid air bubbles as you want it to appear as smooth as possible. All you need to do after this is stick the excess roll onto the side of the canvas so that you no canvas is visible when looking at the board from the front. So it's as easy as that and now you can have a pretty background for your blog photos, I can't wait to start using mine now as I have hardly any nice setups in my house that could take nice photos. Let me know in the comments if you've got any tricks to taking nice blog photos! Hi everyone! I definitely think that the Kardashians have a love/hate thing going on, they're like marmite but I am not ashamed to admit that I love them! They have been keeping us hanging for ages now talking about their new websites and yesterday the websites were launched alongside the surprise of an app. Kim, Khloe, Kendall and Kylie all launched an app, each one different. The only thing that bugged me was that these actually aren't a free service which no one was aware of until they went live, they each cost a subscription fee of £2.29 a month which is paid through your Apple account. They are giving everyone a week free which allows you to test them out and see whether you want to continue your subscription. I personally was only interested in Kylie's app, she is one of my favourites and I was dying to know all her beauty secrets and how she looks so amazing. I have to say that the app really didn't disappoint me, there will be new content frequently added and there are various features on the app. My favourite is the make up tutorials, it is so interesting so see the tricks that she uses to look so gorgeous and it also names all of the products being used. Along with that there is a 'cop my style' feature with selected outfits that Kylie has worn along with affordable alternatives so you can have a similar look. Obviously as it is an American app some of the items aren't available in the UK however there is a few Topshop items and other clothing which is accessible in the UK. 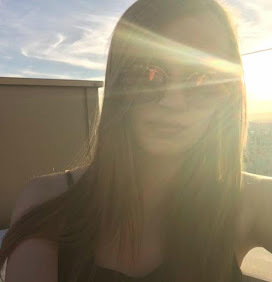 She has a life section where she posts some of her current favourite things and she also shares some secrets that she using, including how she gets the appearance of a bigger chest using the Victoria Secret Bombshell bra. The app itself has been designed surprisingly well, it is very fluid and something I really love is that you get a notification when Kylie is live streaming to the app making it feel like you are on FaceTime with her! There is also a radio feature where she posts songs she is loving. Obviously I would prefer if it was free as it was a bit of a surprise when it was announced it is paid via subscription however I will be continuing mine as it really isn't a lot of money a month and I love the make up tutorials so much I want to keep it for that alone. I realise this definitely won't be for everyone however if you love Kylie like me it is definitely worth it. Let me know in the comments what you think of this app! Hi everyone! I don't know about you but for me personally I find myself much more likely to buy affordable skincare as it just isn't something I want to spend lots of money on buying high end brands. I would much rather spend my money on high end make up and then save money on skincare because I think you can get some amazing drug store products. So since it is getting colder and my skin is about to dry out even more than normal I thought I'd share with you some of my favourite products that are also affordable. - Johnson's Makeup Be Gone Moisturising face wipes. Can I just say I have literally tried basically every affordable brands face wipes going, I love them because they are so quick and easy but these Johnson's ones are my absolute favourite, I swear by them! I buy the moisturising ones which is the blue packet which are specific to dry skin but you can also get the refreshing wipes for normal skin. I haven't found any face wipes that I love as much as these yet and I've tried a lot. Even the more pricey Body Shop ones just didn't compare. I love the smell and they are so effective at getting your make up off plus they leave my skin feeling so refreshed. They are £3 from my local supermarket however they are on offer quite a lot at half price so I would definitely keep an eye out and try them because they are amazing! - St Ives Apricot Scrub. I know everyone raves about this but it really is worth the hype, this is the travel sized tube as it takes me quite a while to go through them plus this one was from my holiday to save room in my suitcase. I have the driest skin ever on my nose, it gets so flaky really quickly so I use this every other day or every few days and after using it the dry skin is instantly gone. It smells really good as well and I don't find it harsh on your skin at all and this isn't the sensitive skin version either. I believe the full sized product is around £4, different shops vary in price however it lasts ages and really does make a difference. - Dirty Works Eye Cream. I really like this brand because it is so affordable, I buy this from Sainsburys and I get really tired looking puffy eyes when I don't have a very good sleep and this really does improve it. One thing I really notice when I wear this is that I can almost feeling a firming sensation under my eyes as if the skin is getting tighter, a good feeling though because it makes me realise it is working! My bags and puffy eyes are instantly reduce, I couldn't remember the exact price for this but I believe it is around £4.99. Compared to some of the higher end eye creams you can buy this is a bargain for a product that actually works as well. - Nivea Gentle Cleansing Cream Wash. This is amazing for dry and sensitive, I like to use this when my skin isn't in dire need of heavy duty products but still needs some TLC as I find it so refreshing. It is very moisturising and it leaves my skin feeling so insanely clean. I also get a lot of redness on my face and I think it calms it down a lot, also it smells so nice! You can buy from from Boots for £3.15 which is so cheap and great for when your skin needs a pick me up but isn't in really bad condition. - The Body Shop Vitamin E Intense Moisture Cream. This product is definitely aimed at people like me with very dry skin as it is so hydrating, so if you have normal skin I wouldn't recommend it as it may leave you feeling a bit greasy. I love to use this after I've used the St Ives Apricot Scrub on my nose and it absorbs into my skin straight away leaving it so soft. A little goes a long way with this product as well so you get really good value for money, it retails at £13 so it's pricier than anything else I have included on this post however if you have really dry skin like me it is a life saver! Let me know in the comments what affordable skin care products you love! Hi everyone! Since the seasons are changing and everyone (including me) is jumping on the Autumn bandwagon I thought I'd post some of the go to make up products I like to use in Autumn. I'm done with corals and peaches for now and I'm moving on to the lovely warm browns and berry colours. I'll start with the eyes first, I've used two palettes because they have the most gorgeous Autumn shades in them. - Too Faced Chocolate Bar palette. This is the first image and to me it actually screams Autumn, I pictured those colours as they are the most fall appropriate from the palette in my opinion, I don't have flash on but one of the shades which is the 2nd in on the middle row is my all time favourite gold eyeshadow and the picture really doesn't do it justice but it is amazing! It's called Marzipan if you are wondering, I don't know why but those shadows all pictured next to each other remind me of a scarf you would wear in Autumn, weird I know. It is definitely my go to palette for this season, I just love it! - Anastasia Beverly Hills Shadow Couture palette. I pictured these shadows from this palette, particularly Fudge and Morocco as they are gorgeous warm shades that look so nice at this time of year. Also the quality is amazing, they are so pigmented and are so easy to apply. - MAC Craving. This is an Amplified finish and it is amazing! It's described as a 'burst of plum' and I think it is great for people like me who aren't daring enough for a really dark lip, it is a dark shade but not too full on and very wearable. - Too Faced Melted Lipstick in Melted Berry. This one is definitely for when you are feeling more adventurous, it is a lot more full on that the MAC lipstick but so pigmented and the nicest deep berry colour. The applicator isn't my favourite and I would recommend using a lip brush to apply this since it is a bold colour but it is so long wearing and surprisingly not drying considering it is a matte finish. - Benefit's Benetint. I love the colour of this especially for this season, it is a nice plum colour and I think it gives a nice flush to your cheeks but it is fairly sheer so it doesn't look too crazy once applied. I also love this for when I'm feeling lazy as it is so quick and easy to apply. - Maybelline Dream Touch Blush in 07 Plum. Another plum colour I know but I think they are so gorgeous at this time of year, I love this cream blush because it is so affordable and a very subtle plum shade. Also you get so much product and a little really does go a long way so very good value for money. - Benefit Watt's Up. I know I've only been raving about the Mary Lou Manizer recently but for some reason Watt's Up definitely fits Autumn better for me. Gold highlighters are my favourite and this gives a really lovely golden glow but it works for Autumn as well as Summer. Application is a bit more awkward because I think applying it from the stick gives you a bit of a stripe so I prefer dabbing it on my finger first. It's so funny how as soon as they seasons change so does your taste in make up products, but it keeps things fresh and stops it getting boring I suppose. Let me know in the comments your favourite Autumn make up products! 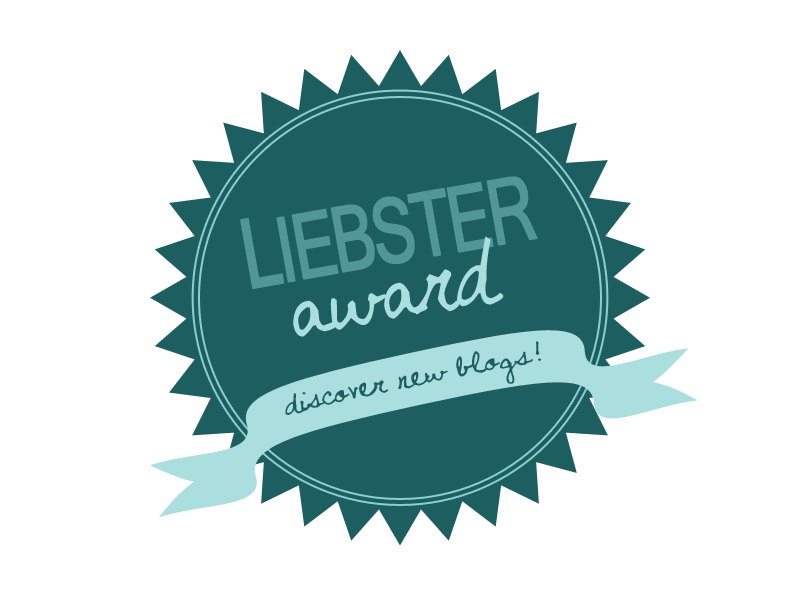 Really excited to have been tagged in the Liebster Award by LPage Beauty (go have a look at her blog at http://lpagebeauty.blogspot.co.uk)! 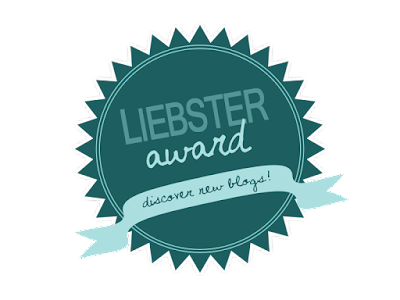 I haven't been blogging for long at all so it's so nice to know that people are actually reading what I post, I've seen the Liebster Award a few times before but I never really knew what it was. Basically you answer a 10 part Q&A using the questions asked by the blogger who nominated you and the idea is that this is awarded to bloggers with a smaller following in order to publicise them more. After you've answered your questions you then nominate up to 11 more bloggers. I always loved seeing other bloggers reviews of products before I bought anything, I found this the best way to find amazing new products that I might have never heard of before! Funnily enough YouTube was what really pushed me into creating a blog, I loved the online community around it but I would always be far too shy to make a YouTube channel plus I've always loved writing so I thought why not make my own blog! Also since I was spending so much money on make up and my boyfriend was sick of hearing me talk about it I thought why not share my opinions with people who might want to hear them! 2. What's your favourite high street retailer? I love Topshop however I find it too pricey to buy loads of everyday clothes from there so I love getting going out clothes from there and I find H&M really good for everyday clothes as it's so affordable! 3. What's your favourite holiday destination? I went to Mexico in 2014 and fell in love! It literally has everything you could want, I prefer a chill out holiday with fun excursions and you can seriously do so much here. I'm not one for partying on holiday but if that's what your into then you can get all that there and more. Plus the weather and hotels are amazing, only downside is the really long flight but it is definitely worth it. 4. Are you a sweet tooth or savoury girl? Savoury without a doubt! I would so much rather have snack food than anything sweet, I've got such a weakness for crisps and sausage rolls which is so bad but I just love them. I very rarely crave anything sweet and in a restaurant I would ALWAYS choose a starter over a pudding! 5. Do you have any holy grail products? MAC Blankety is my holy grail lipstick, literally the perfect colour, along with something I haven't had for long which is the Mary Lou Manizer by theBalm, the most amazing highlighter and unless something insanely good comes along I don't think that will change. I'm yet to find my holy grail foundation...one day though! 6. Do you have any hobbies other than blogging? Sadly no, I think that is why I love blogging so much! I'm either always at work or university so I don't have time for much else apart from blogging along side that. 7. Who is your favourite band/artist? I'd have to say Ariana Grande, I'm obsessed with her voice I just don't understand how it is possible to be that good?! I wish I could steal her voice and then I would be a very happy girl, I get really jealous of people who can sing. I have her album in my boyfriend's car and I listen to it that much he knows all the words to her songs now! 8. Do you have any celebrity crushes? There is definitely the obvious ones like Leonardo DiCaprio however I am obsessed with an actor called Max Thieriot from Bates Motel, he's just too pretty. I also really like Connor Weil from MTV's adaption of Scream. 9. What's been your favourite life experience so far? I know I already mentioned it but it was my holiday to Mexico with my boyfriend, we had the most amazing trip and it literally felt like a dream that never happened! The downside of having such an amazing time though is that you feel like you will never top it but we are off to Florida next year so hopefully that will be even better! 10. Do you have a favourite make up brand? Hi everyone! Apologies for the lack of posts the last couple of days I've just had the busiest last few days, I was working all weekend and then I went away on Sunday night which is actually what this post is about! Basically my sister got married in 2013 in a hotel called Ramside Hall in Durham and I stayed over and it was an amazing day and I fell in love with this hotel! Since then me and my boyfriend Matty have a few visits a year to this hotel because we have really good memories there and as we go more and more the sentimental value definitely increases. So a really spontaneous day last week we booked up for the Sunday just gone as we haven't been able to see each other as much because of Matty's new job so it was nice to be able to get away and spend some time together. The hotel has actually just had a massive extension put on it because they've built the most gorgeous spa and lots of new rooms, so we stayed in one of the new rooms which in case you ever wanted to book they are called the superior double rooms. I took quite a few pictures of the room which I shall add below. The room was so gorgeous, all the rooms are nice but the new ones totally exceeded our expectations! The bathroom was huge with the nicest stand alone bath which so massive by the way, I had the most relaxing bath in it ever, I want one like that in my house! It had a really big walk in shower and products from The White Company such as shampoo and body lotion. Also can I just say, the bed was the biggest bed I've ever seen! I actually slept like a baby which was definitely welcome after a stressful day at work that day. We had a really lovely view with a view of the golf course and the lake where you can watch the swans swimming around, it was so nice and peaceful and we also had a look round the spa which was amazing! Ramside Hall has a restaurant called the Rib Room which does the best steaks you will have but we were wanting to chill out so we went to a room called the Pemberton Suite which has a more relaxed dining situation so we had a carvery in there and got some dessert from their dessert counter. After that we went for a walk round the grounds and chilled in our room watching The X Factor, it was such a lovely trip as always and I felt very relaxed upon checking out! We want to go again around Christmas time because has that really nice festive vibe, but our next trip there that has actually been booked is for my 21st birthday in February which I can't wait for! Let me know in the comments what you got up to last weekend! Hi everyone! I've never actually done a shopping my stash post so I figured why not start today. Just to put this out there now, I am a hoarder and I can fully admit to that, I buy things that I don't use and then just leave them stashed away somewhere which is why I think this is a great idea for me! It was so strange to have a look through things I haven't looked at in a while and it does make me realise how I need to stop hoarding and actually use the things I buy. I could have picked out a lot more but this would have gone on forever! It's funny how by doing this you discover some old favourites as well, we get so easily sucked into using the same products everyday so it makes a nice change to go back to the products you used to love! - Urban Decay Naked2. I bet people think I'm crazy for having such a popular palette and it basically being untouched, you can see from the pictures how I've only used it once and for some reason it makes me feel so guilty! It is so pretty, I actually got it last Christmas and I loved it, then one day you decide actually I want to use something else and it has been forgotten about. My love for my Naked3 palette and my Too Faced Chocolate Bar palette definitely played a part in pushing this aside however after digging it out today I really want to start using it again. It is more on the cool toned side for my liking but there is some shades I love like Half Baked and Chopper, going to do my best to start using this more! - Benefit That Gal primer. This used to be one of my absolute favourite primers and I think it was one of the first Benefit products that I ever bought, I would use it everyday without fail and I still have some left so definitely showing some good value for money! I had honestly forgotten about it until today because again another primer took over which I now use everyday, 100% going to use this again until it's empty so I get that satisfied feeling of fully using up a product! - Too Faced Sweetheart Blush in Something About Berry. This was another product I got last Christmas which I was so excited about, I used it a couple of times and tossed it aside, no clue why though because it is so pretty! A little really does go along way though, use too much and it looks far too bright pink, but when you put the right amount on it gives a really nice flushed look to your cheeks. Biggest downside about this product though is that it's so bulky, I have a feeling this might be why I put it somewhere else and forgot about it because it was taking up so much room. Still love it though and it being so bulky doesn't take away from how pretty the packaging is. - MAC Mineralize Concealer in NC20. I bought this totally out the blue one day and I remember not loving it when I first used it, however I think a lot of people do that, use something once and aren't blown away but use it some more and they end up loving it. Going to experiment with it some more and see how that goes so it isn't a total waste! - Benefit Fine One One. Again this used to be an absolute favourite of mine, I would use it all the time because I went through a stage where I thought cream blushers were the best thing since sliced bread and I have actually had so much use out of this but you can see in the pictures above how there is absolutely loads left. It gives you the nicest colour and stays on so well, only issue I have is blending due to the application, it just makes it a little trickier but I still love it. - MAC Pressed Pigment in Blonde Streak. I bought this when I was really new to getting into makeup and I didn't really know what to do with it, now though after finding out what works for me and what doesn't I would absolutely love this when I'm feeling adventurous and wanting a gold shimmery eye look. The colour is gorgeous, I know now that Autumn is coming around it might not get used so much but I think for the party period around Christmas it would be perfect, this one is basically untouched as well so I am determined to get some use out of it! This was a strangely eye opening experience to highlight how I need to use more of my products, I need to stray from using the same products day in day out and revisit some of my old favourites and also things I've barely touched. Let me know in the comments if you have any of these products and what you think! Hi everyone! Recently I was in Eldon Square in Newcastle and I thought I'd have a little look in Lush. We all know it doesn't just end in a little look and you end up buying stuff you arguably don't need but you get them anywhere because they are so fun and make baths 10x less boring. I thought I'd share with you the few bits I bought in case you are unsure of any products to buy from there. I'll start from the top left and go round clockwise. These are all bubble bars by the way! - Sunnyside. This is my absolutely favourite out of the four that I got it smells absolutely amazing! It's scent is wild orange, lemon and tangerine so has the nicest citrus smell that is strong but just the right amount! I haven't used this one yet but it is absolutely huge so if you break it up you will get a few uses out of it, I probably will be coming out the bath covered in glitter but who cares! - Milky Bath. I love this one because it has the nicest subtle scent, sometimes Lush products can be really overpowering but this isn't at all. This is filled with orange oil and skimmed milk with a cocoa butter bottle top. I don't smell any orange in it at all, just a really nice creamy vanilla scent. It is also really cute as well which is a bonus! - Rose Jam. This is one of the bubbleroons and I had to get this one because it is so pretty and it really does smell like roses! It has lemon, rose and geranium oil in it along with coconut oil and shea butter. If you get the chance to smell this you won't be able to get over the fact that it smells like you're surrounded by flowers, in the good way though it isn't overpowering at all. - Yuzu and Cocoa. I really am getting into the bubbleroons they are so cute and they all smell amazing. This one in particular has a smell that seriously makes you want to eat it, this has coconut oil and shea butter and a scent of citrus oil which a chocolate undertone. Basically it smells like a really subtle chocolate orange and who doesn't love that? This one makes your bath smell so delicious and it goes a nice bright lemon colour. After I buy a few products from Lush I always get desperate for more so next time I pass one I will definitely be tempted to go and buy more. Let me know in the comments if you have tried any of these and what you thought! Hi everyone! I've always liked doing VS posts to help people decide between products however I've never done a high end product vs a drug store one. I've had the Nars creamy concealer for a while now and I've just recently bought the Rimmel Wake Me Up concealer and when I used it I found them fairly similar and I actually really loved the Rimmel concealer so I thought I'd do a comparison post on the two! Obviously the biggest difference between the two is the price, the Nars concealer is a steep £22 compared to the Rimmel concealer which is priced at £5.49 from Superdrug. This is why I was so surprised at how much I liked the Rimmel concealer, I thought it would just be a cheap buy for everyday use that wouldn't compare to my Nars concealer which has been my go to concealer for months now. If anyone is wondering by the way my Nars concealer is in the shade light 2 vanilla and I wear the Rimmel concealer in 10 ivory. Nars is on the left and Rimmel is on the right. You can see both have nearly identical doe foot applicators with Nars' being slightly longer, I personally love these applicators for concealers I think they are so much easier to use, and the two here are basically the same. The swatches again look almost identical, Nars is on the left and Rimmel is on the right. The formulas however I think are quite different. Obviously as Nars is labelled as a 'creamy' concealer it is a fair bit thicker and isn't runny at all. This is great because I find it gives really good coverage however when it comes to the under eye area for me I find it harder to blend because it is thicker. The Rimmel concealer is a lot runnier and doesn't have as good coverage but I find it so easy to blend in the under eye area and it is buildable. When you're comparing these two shades I find Rimmel a lot more yellow but this works for me as I have yellow undertones, looking back I should have got the Nars concealer in the shade custard for a perfect match but vanilla does work. I don't think you can say one is better than the other, I think they are great for different purposes. The Nars concealer is great coverage so I love this for covering blemishes and it lasts absolutely ages. The issue I have is that as an under eye concealer it doesn't work as well for me and after a longer period of time it does start to crease. It does fit it's description of being really luminous though so with more blending it will look great. The Rimmel concealer on the other hand isn't my ideal coverage for blemishes however I absolutely love it for the under eye area, it states it has an anti-fatigue affect which I would agree with and I find it so easy to blend. Overall I would say you would get more use out of the Nars Creamy Concealer, it takes a bit more work on the under eye but when done properly it would be great and it is amazing for covering blemishes. Also it lasts absolutely ages so whilst it does seem expensive you will get a lot of value for your money. Rimmel is obviously a lot cheaper so I would say if this is more in your budget then go for it, it really is a good concealer, you just might need more product to get the best coverage. I wouldn't call it a dupe for the Nars product as they are different but it is such a good product at a really affordable price. I definitely do love them both! If I was feeling like treating myself then I would buy the Nars concealer however I'm not reaching for this a lot more than I am the Rimmel concealer, they are both great for different things. Let me know in the comments what you think of these concealers!